• Any RBTC graduate who is a current, paid RAA or RMAI member. • Graduates who have completed one year at RBTC can audit first-year classes. • Graduates who have completed second and/or third year at RBTC can audit first- and second-year classes. • There are no discounts for enrolling in more than one course. • Textbooks are not required for RAAP participants. Textbooks may be purchased at the RBC bookstore. • Costs and fees are subject to change without notice. Deadlines – Application Deadline: One week before the start of each term. • Enrollment Deadline (including tuition payment): 8:30 a.m. on the first day of class each term..
• Class availability and enrollment will be confirmed by phone when your enrollment is received. Note: There is no enrollment after a course has begun. • The RBTC Admissions office must receive payment by 8:30 a.m. on the first day of class each term.. 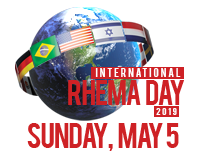 If you are interested in participating in this program or desire more information, please click on the following links or contact the RHEMA Admissions Office, at (918) 258-1588, Ext. 2461.